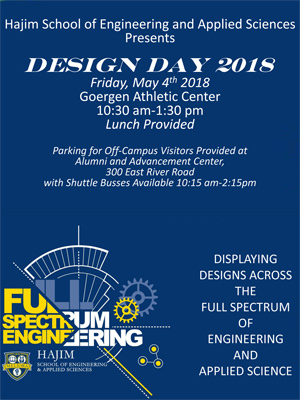 Seniors in five engineering departments and computer science — as well as students in the Medical Technology & Innovation Masters Degree Program — will showcase their senior projects with posters and prototypes on May 4 at the annual Design Day of the Hajim School of Engineering and Applied Sciences. Click here to see the Design Day program, list of more than 90 projects, and the tables where each will be located. 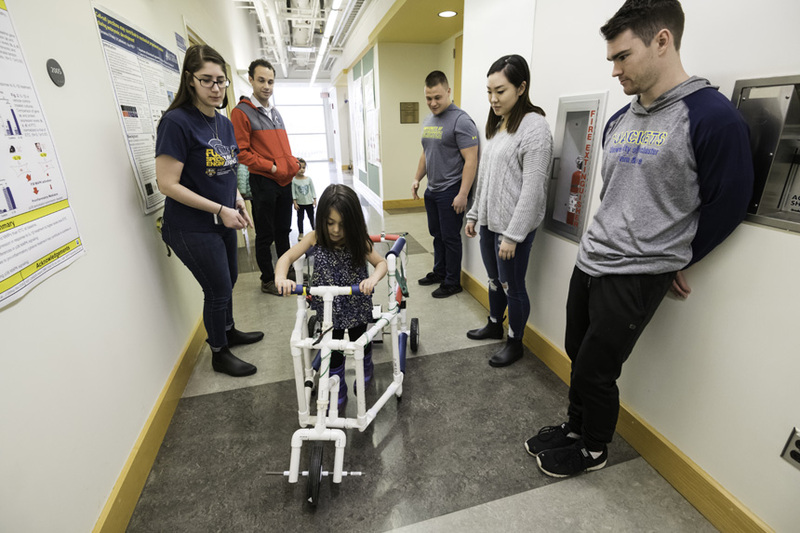 "Design Day presents a wonderful opportunity for students to showcase their efforts to translate their engineering knowledge into practice," says Hajim School dean Wendi Heinzelman. "It is always exciting to see the wide range of projects and to speak with the students to understand the thought process — and the hard work — that went into the final designs. Creating a product that satisfies a real need while meeting practical design constraints is challenging, but succeeding in this endeavor is rewarding and can provide significant benefit to the intended customer." Please note: Off-campus visitors can park at the Alumni and Advancement Center, 300 East River Road, and take a shuttle bus to and from the athletic center from 10:15 a.m. to 2:15 p.m. 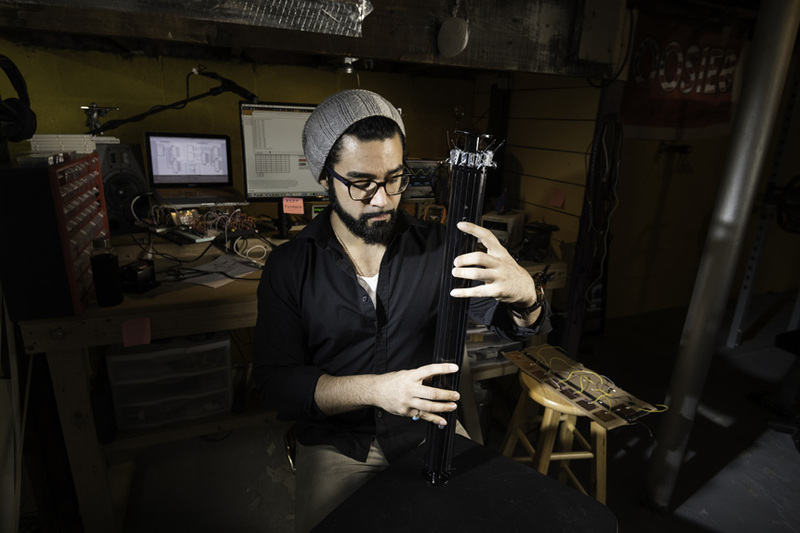 Audio and music engineering major Juan Estrella is designing an electronic musical interface that would that would free musicians from the constraints traditional instruments place on artistic expression.